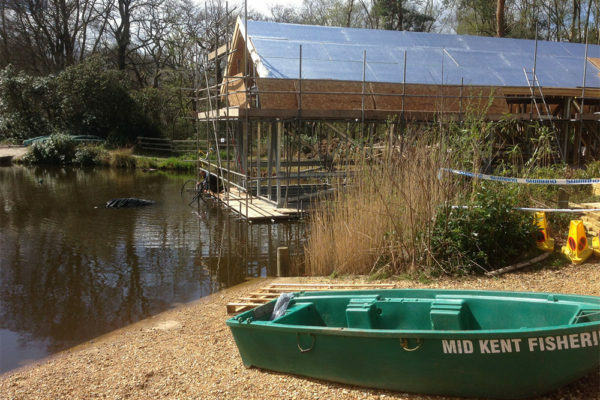 The Boathouse remains one of our favourite projects, both in terms of the beautiful final meadow and also the technical hurdles that we overcame alongside our partners on the design, supplier and contracting team. 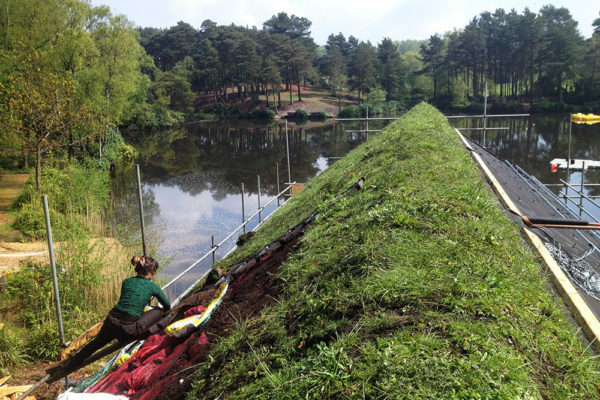 Cantilevered over a boating lake at the Avon Tyrrell outdoor activity centre in the New Forest, the Boathouse features the first use of our ShearStop anti-subsidence system, which supports 130kg/m2 of soil and planting. 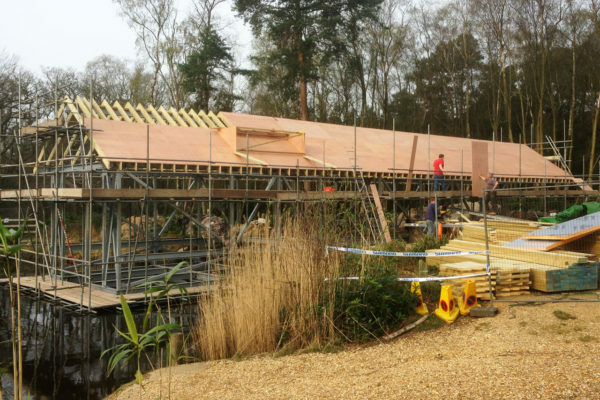 This involved hundreds of waterproof structural fixings down through the insulation into the joists. 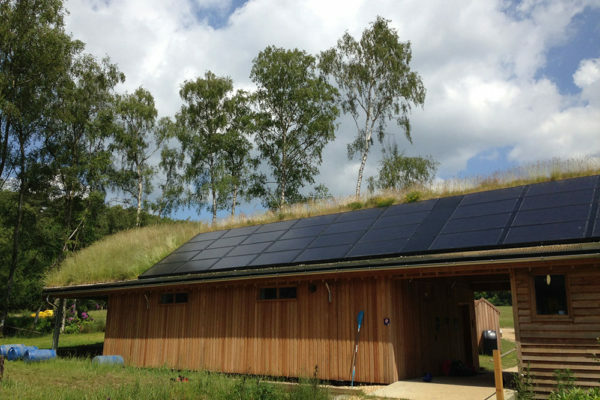 The same fixings were used to house the solar panels which provide much of the buildings energy. 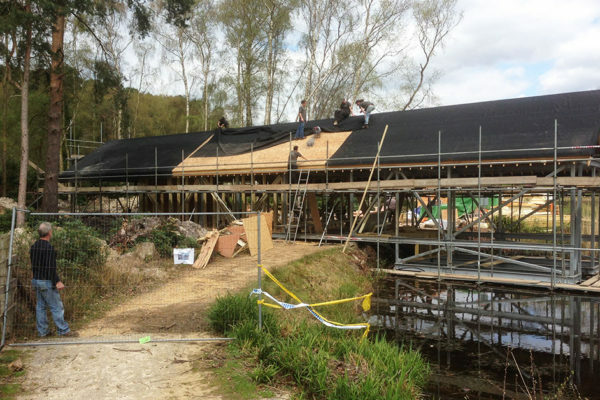 The waterproofing was installed in three large sheets of EPDM, (rubber roofing) which were bonded up and across the ridge from eaves to eaves. 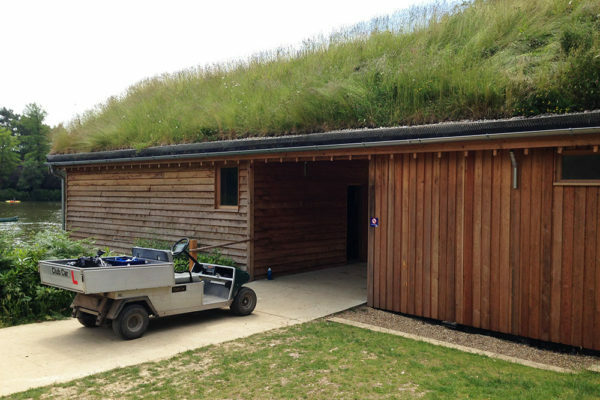 The substrate and plants, which were grown specifically to match the local ecological conditions in the area by our partners at Wildflower Turf, were installed over three days after the main roof area was covered in 3 large sheets of Hertalan EPDM. 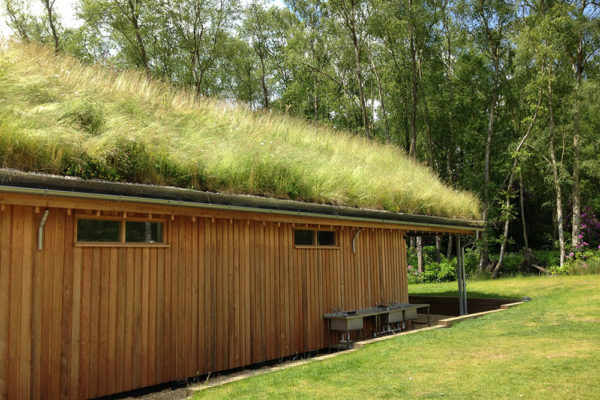 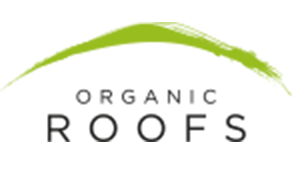 The project won the Green Roof of the Year at the NFRC national awards in 2015 and we’ve since developed the approach to pitched roofs we began there so that we feel we have the most accomplished technical solution for these kinds of projects anywhere in the UK.